The Raspberry Pi is a popular Single Board Computer (SBC) in that it is a full computer packed into a single board. Many may already familiar with the Raspberry Pi 3 and its predecessors, which comes in a form factor that has become as highly recognizable. The Raspberry Pi comes in an even smaller form factor. The introduction of the Raspberry Pi Zero allowed one to embed an entire computer in even smaller projects. This guide will cover the latest version of the Zero product line, the Raspberry Pi Zero - Wireless, which has an onboard WiFi module. 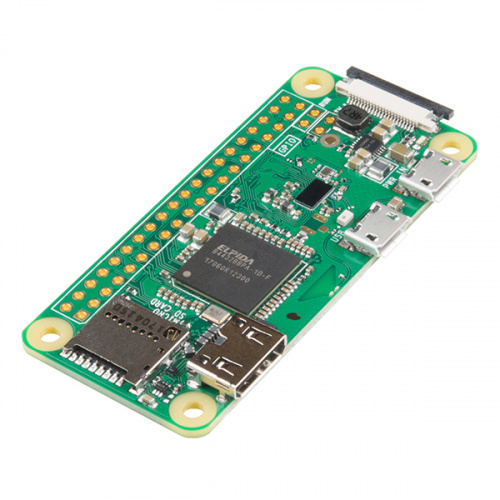 While these directions should work for most any version and form factor of the Raspberry Pi, it will revolve around the Pi Zero W.
If you're looking for a starter pack, this kit includes everything you need to start using your Pi Zero W.